But pulling down skyscrapers requires state-of-the-art technology, especially if the structures are more than 100 meters high. 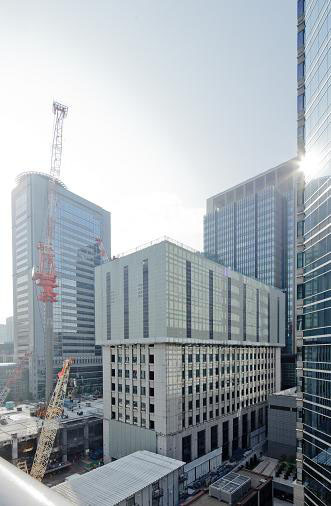 Over the next few decades, more and more tall buildings in Japan are expected to have a date with the wrecking ball. 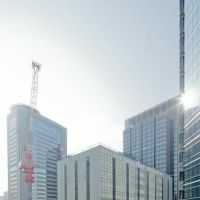 “We thought there needs to be an especially effective way for those over 100 meters,” said Hideki Ichihara, who oversees construction technology development for Tokyo-based builder Taisei Corp. The Taisei Ecological Reproduction System, or Tecorep, makes working environments safer, and reduces noise and dust by keeping all the disassembly work inside the building. 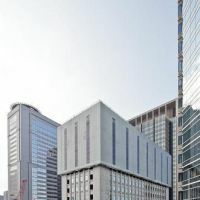 The method attracted public attention when the contractor began tearing down the Grand Prince Hotel Akasaka, one of Tokyo’s landmark hotels, which closed down in March 2011. 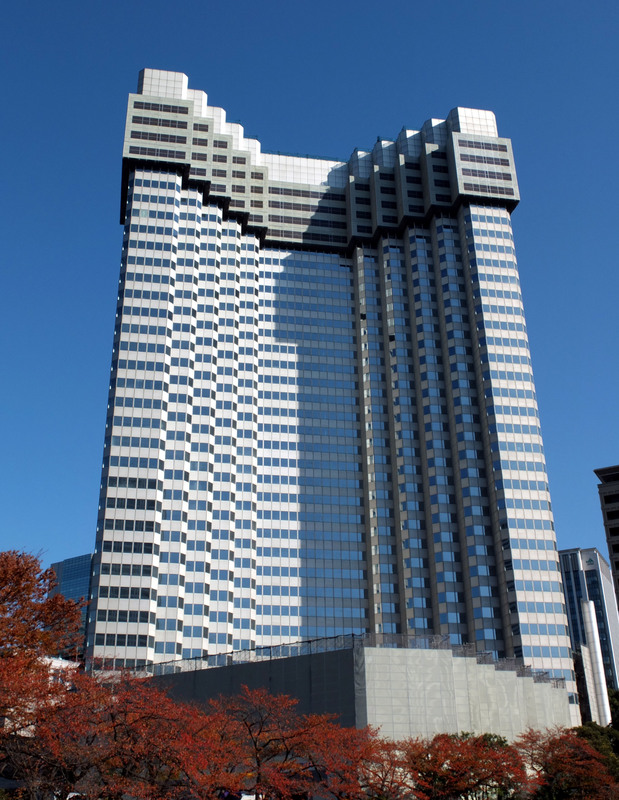 At 138.9 meters, the hotel is the tallest building ever knocked down so far in Japan. In general, when a tall building is torn down, its sides are covered, while the top, where the heavy machinery is doing the disassembly work, is open to the sky. Cranes are used to pluck the debris from the top and bring it down to the ground. 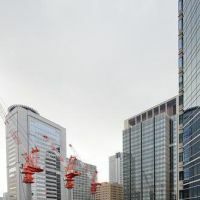 But cranes can only go so high, so Taisei considered the method unworkable with buildings over 100 meters, Ichihara said. Only a few buildings over 100 meters have been torn down in Japan so far. Ichihara said statistics show that most buildings over 100 meters around the world are torn down after 30 or 40 years. Japan has 797 buildings that are more than 100 meters, and 99 of them will be 30 to 40 years old in 10 years, he said. It stands to reason that many of those buildings will come down. “But we thought, is it really possible to safely disassemble buildings over 100 meters? We thought we needed to research that, which is how Tecorep’s development started,” said Ichihara. The company got to work on the method in 2008 and came up with Tecorep in about a year and a half. The key idea is to disassemble a structure in an enclosed space, unlike the traditional way of working in the open air, Ichihara said. 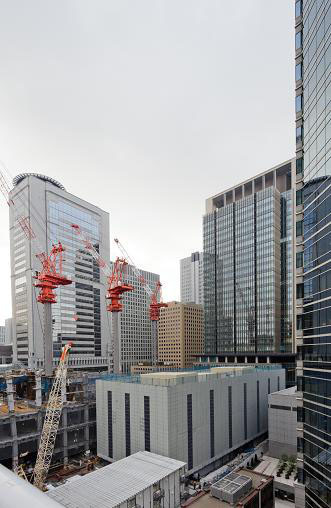 Taisei looked into using a building’s roof to create a closed working site and bringing cranes inside the building. The roof is held up by temporary columns that are lowered by jacks as the higher floors come down. 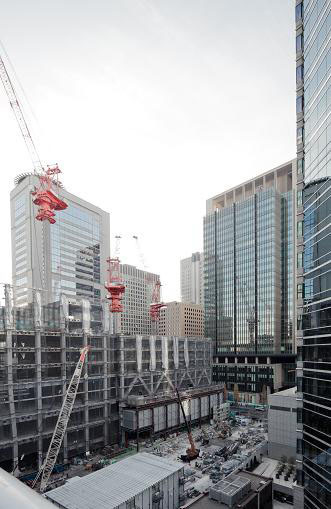 “It’s kind of like having a disassembly factory on top of the building and putting a big hat there, and then the building shrinks” from the top, said Ichihara. This “hat” benefits everyone, according to the company. By working in an enclosed space, outside noise is reduced by 17 to 23 decibels while dust is cut by as much as 90 percent. What’s more, it’s safer for workers than being in the open air, Taisei said. Also, the method can speed up completion times because weather is not usually a factor and work can continue around the clock if neighbors agree. 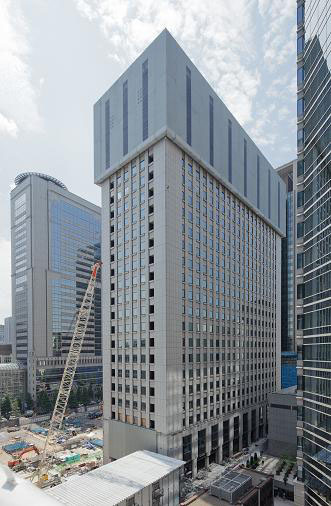 The dismantling of the Akasaka hotel, which started last June, should be over by spring, the company said. 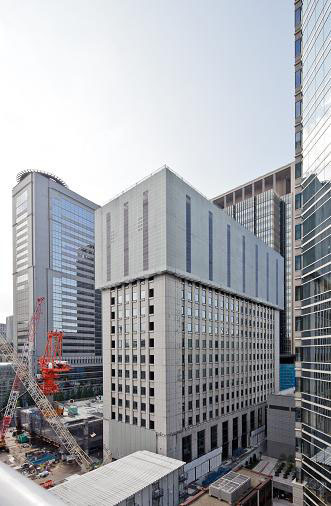 Seibu Holdings Inc. will build a new hotel and office complex after it disappears. The Tecorep method is also environmentally safer and more energy-efficient, according to Ichihara. Much like how hybrid cars generate energy when their brakes are applied, the cranes can do the same when lowering debris inside the building. The power they make can be used to run lights and other equipment. 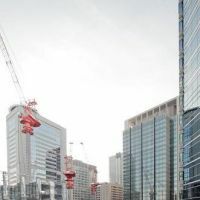 “The crane can generate more energy when it brings things down from a higher position,” so it can take advantage of buildings over 100 meters, Ichihara said, adding that Taisei aims to sell the technology overseas. Other construction firms have also developed technologies to disassemble skyscrapers. Kajima Corp.’s Kajima Cut and Take Down Method starts from the lower floors — the opposite of Tecorep — while the Takenaka Hat Down Method developed by Takenaka Corp. is similar to it.